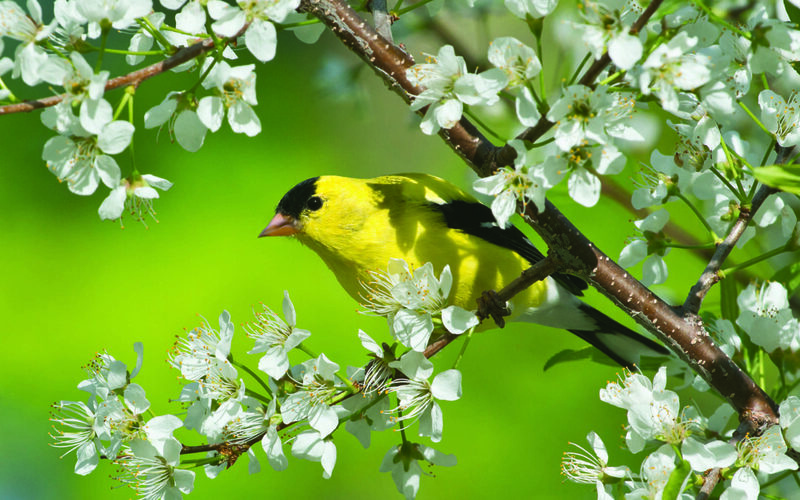 The warmer temperatures, longer, brighter days, and chirping birds all signal the arrival of spring. It’s also the time of year that we tend to feel a renewed energy and our mood is more positive and enthusiastic. The League of N.H. Craftsmen – Concord, NH invites you to celebrate the vitality of the season at its new multi-media fine craft exhibition, Spring Fever. On display are finely woven Easter baskets; colorful blown glass flowers; clay and wooden bowls, spoons, and vases with seasonal motifs; spectacular fiber wall hangings; elegant jewelry with detailed tulips, ivy, and fiddlehead; prints and photographs of birds and nature, and much more. All the fine craft items are made by juried members of the League (a list appears at the end of this release) and are available for purchase. The exhibition opens Friday, March 27 and runs until June 12 at The Gallery at The Craft Center and headquarters in the SMILE! building on 49 South Main Street in Concord. The Gallery is located at 49 South Main Street, Suite 100, in Concord, NH and is open Monday – Friday, 8:30 am – 4:30 pm, andSaturday, 10:00 am – 4:00 pm. The public will be able to meet and speak with the participating exhibitors during the opening reception on Friday, March 27 from 5:00 pm to 7:00 pm. The League also displays a new selection of fine craft from its more than 300-lot permanent collection at the Grodin Permanent Collection Museum at the League headquarters. This collection includes craft from the League’s early years to the present, including pieces made by some of the world’s renowned craftspeople, such as Otto and Vivika Heino and Edwin and Mary Scheier. The museum provides fascinating insights into the evolution of fine craft and should not be missed. Admission to the museum is free. The League of NH Craftsmen is a non-profit, craft education organization. Its mission is to encourage, nurture and promote the creation, use and preservation of fine contemporary and traditional craft through the inspiration and education of artists and the broader community. The League represents the signature of excellence in fine craft, through the work of its juried members, and its rigorous standards for self-expression, vision, and quality craftsmanship. The League of NH Craftsmen is supported in part by a grant from the New Hampshire State Council on the Arts and the National Endowment for the Arts. The Gallery has been made possible through the generosity of Concord Orthopaedics. For more information about the Spring Fever exhibition, the Gallery, or the League of NH Craftsmen, call 603-224-3375, email nhleague@nhcrafts.org, or visit the League’s website at www.nhcrafts.org.